Sandy will be dispensing wedding planning wisdom, and giving away $1500 in DIY wedding planning consulting services, as a well as copy of her book, “How to Plan Your Own Destination Wedding: Do It Yourself Tips from an Experienced Professional,” in the popular Facebook bridal chat group “I’m Engaged, Now What?” tonight, for #WeddingWednesday, July 12th at 9 pm Eastern time. 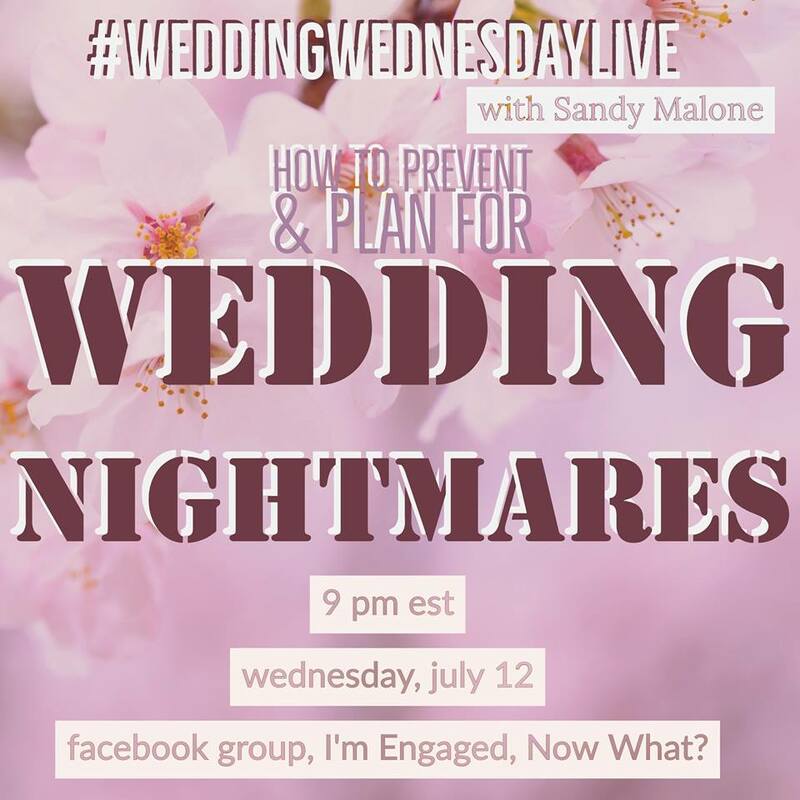 The topic is How to Plan for and Prevent Wedding Nightmares – and Sandy will share some true life stories, and take Q&A. And she’ll be giving away valuable free stuff! You have to register to win ahead of the broadcast and be in the LIVE chat to win. Sign up now! The Buccaneer Hotel in St. Croix may be one of the best wedding venues in the U.S. Virgin Islands. Not only is the 70-year-old, family-owned property gorgeous and home to an incredible golf course and several beautiful beaches, but their wedding planning team also works closely with a number of other attractions for your guests, including the Cruzan run factory and the beer drinking pigs in the tropical rain forest. Sandy interviews one of the on-property experts about what to do with your groomsmen on the wedding day. Sandy gives five tips on how the Mother of the Groom can help reduce stress for her future daughter in law during the planning, including helping get the rest of the family on board. 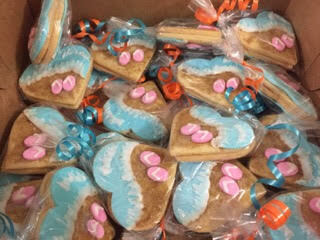 Everything she does to help the bride will ultimately support her son’s future! Elizabeth Carroll tells Sandy that needing relationship counseling before you get married doesn’t mean you’re not meant for each other. It means you’re even more self-aware because you realize the benefit of building a strong base for your life together. Check out the REAL Marriage Boot Camp at ww.marriagebootcamp.com. Sitting down before you get married to review all of your assets and debts is a must – both halves of a couple should go into a marriage understanding exactly what they face. Sandy says debt isn’t a reason to cancel a wedding, but it’s something a couple needs to tackle together, with completely open eyes, before they’re legally bound. While you may be thrilled about your wedding, and all your friends who are also getting married, for those who are single, a whole wave of weddings might not be as welcome as you’d imagine. Not everybody wants to have 27 bridesmaid dresses in their closet before they get married. Sandy’s guest, Dr. Jane Greer, is a dating and relationship expert with tips on how to be more sensitive to the singletons around you when planning your wedding.